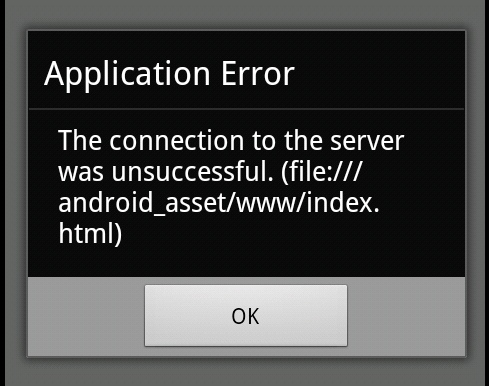 When I was working with mobile development using PhoneGap with JQurey mobile, many time I got error like "The connection to the server was unsuccessful" as shown in the figure, when launching the application using Android simulator. I had searched using google and I found the following solution. What I had done is, I updated the Java class (main activity class) with following code present in src folder. Here I have increased the loadUrlTimeoutValue value as 60 seconds.